If you’ve been thinking about storage, you’ve read the stories and seen the reviews; SSDs are hot right now. Not only do they offer tremendous performance and easily outperform hard disk drives, they are more reliable, their prices are dropping and you can get more capacity than ever. 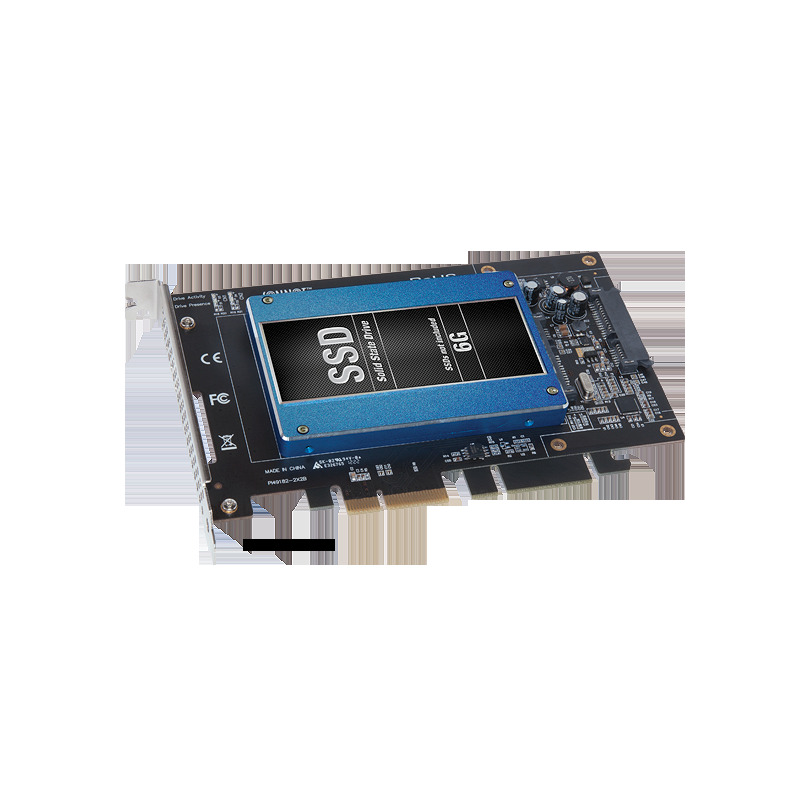 If you’ve got a Mac Pro® or Windows® desktop computer, you could just get a couple of 2.5” SSDs (plus necessary adapters) and install them in some empty drive bays (if there are any) and be done with itbut the 3Gb/s SATA interface in your computer won’t support fast 6Gb/s SSDs at full speed. You could also get a 6Gb/s eSATA adapter plus external mount SSD storage, but they come with the excess baggage of power adapters and cable clutter. Sonnet engineered a couple of great alternativesTempo SSD and Tempo SSD Pro. 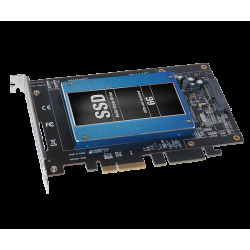 They’re fast 6Gb/s SATA PCI Express adapter cards that enable you to attach readily available 2.5" SSDs or standard spinning media drives (HDDs) and install the assembly neatly into a single PCIe slot, no cables or drivers necessary. For complete Mac and PC compatibility list, visit product's webpage.